If you weren't excited about the prospect of a 'Pacific Rim' sequel before, the addition of John Boyega (Star Wars: The Force Awakens, Attack the Block) as producer and star should help get fans excited for the giant robot epic. He'll play the son of Idris Elba's character from the original for director Steven S. DeKnight. In 2013, Guillermo del Toro's 'Pacific Rim' starred Elba, Charlie Hunnam, Rinko Kikuchi, Charlie Day and Robert Kazinsky and grossed $411 million worldwide. It was not the blockbuster Legendary expected but turned a small profit. Loyal fans of the original have been clamoring for a sequel just as much as del Toro himself, who was too busy to direct this time around. "I am very proud and happy to welcome John into a fantastic sandbox. The 'Pacific Rim' universe will be reinforced with him as a leading man as it continues to be a multicultural, multi-layered world," del Toro said. '"The World saving the world' was our goal and I couldn’t think of a better man for the job." Boyega and Femi Oguns under their Upper Room Productions banner along with Thomas Tull, Mary Parent, Jon Jashni and del Toro will produce the sequel. 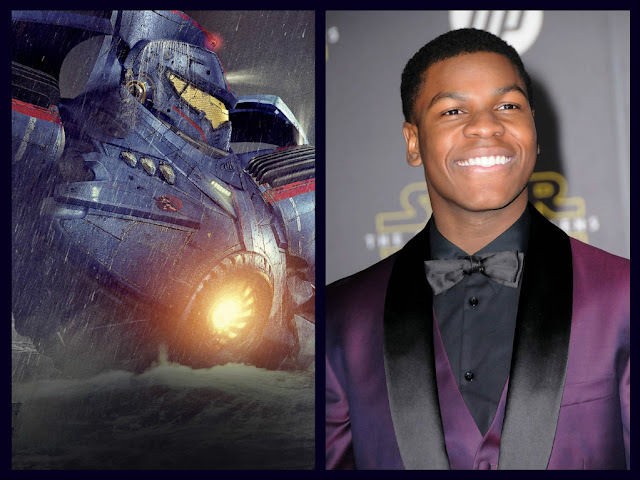 Boyega reprises his role as Finn in 'Star Wars: Episode VIII' which is currently filming. He's got a busy schedule ahead of him with features like 'The Circle,' starring Tom Hanks and Emma Watson and 'Watership Down,' with James McAvoy and Sir Ben Kingsley.